Can you believe it? Christmas will be here soon. If you’re like me, you’re on the look out for great inexpensive gifts everyone will enjoy. My daughters have already picked out which items they want. 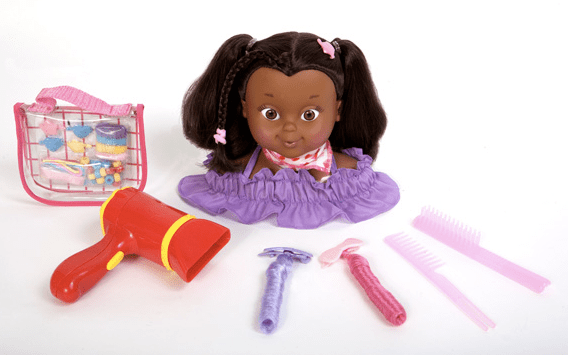 At the top of their list is a doll from the Positively Perfect Collection. One of my favorite toys I want to get them is the Little Tikes iTikes Map. If you’ve you watched TV recently? I’m sure you have seen the resurgence of LAYAWAY. Yes, it’s back at many different stores. When I was a kid, I remember my Mom opened layaways for our school clothing and Christmas gifts. Since then, many businesses cancelled their layaway options because people used their credit cards as a buy it now and pay it later option. However, with the struggling economy and more transparency from credit card companies Layaways are back in style and are much better than before. Walmart has also released its list of the Top 20 toysand has “Toyland Tuesday,” a weekly rollback on select toys every Tuesday through Christmas. Low cost to start, which becomes practically free ($5 down and receive a $5 gift card once you pay off your balance). Encourages you to pay cash so you know exactly how much everything is costing you. It doesn’t hurt your credit if you decide not to get the items. Your balance of all the things you want don’t hit you at once, they are divided over a set period of time. If you are spending more than you have budgeted for, you have sometime to back out before you bring the items home. It’s a trusted method that promotes budgeting and patience. Other people probably are not doing a mad dash to the store, yet, for their Christmas shopping, so the items will most likely be available. There are no any hidden fees, the layaway is simple to understand and straight forward. More items available (there is a $15 minimum per item and a $50 minimum per total purchase). You are also required to pay $10 or 10% down on the balance, whichever is greater. As with a credit card or any other bill, don’t default on your payments. Within the allotted time period pay the items off in full. By doing so, you will be able to responsibly take advantage of the benefits layaway provides. FYI – I do check entries for accuracy, so the winner must have actually completed the entry in order to win. Reader Response: What are some items on your child’s wish list?